Last updated by kprzemek on 2017-11-22. Originally submitted by nczechowska on 2009-12-28. 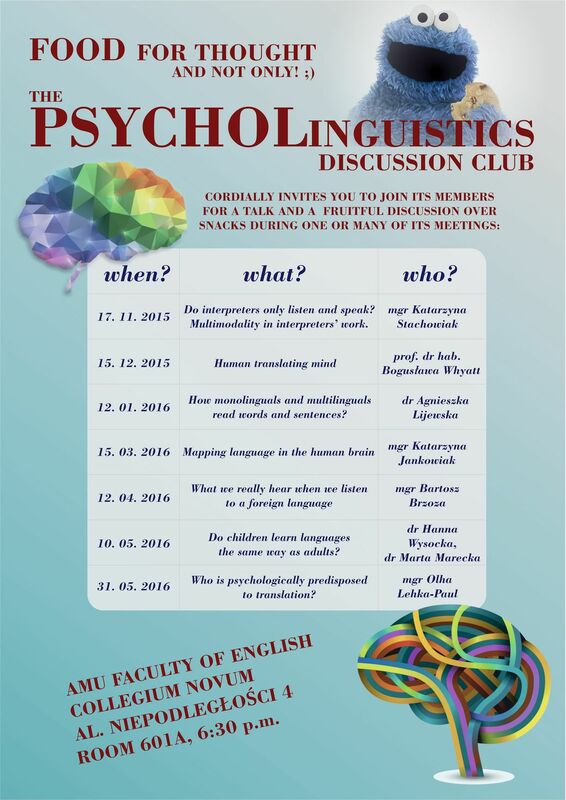 9 Dec 2014: Phonological development in specific language impariment children: A contrastive study of Polish and English by Iga Krzysik [read more] - A report on a BA thesis written in the seminar “Language development in children: L1 and L2” under the supervision of Dr Hanna Wysocka.